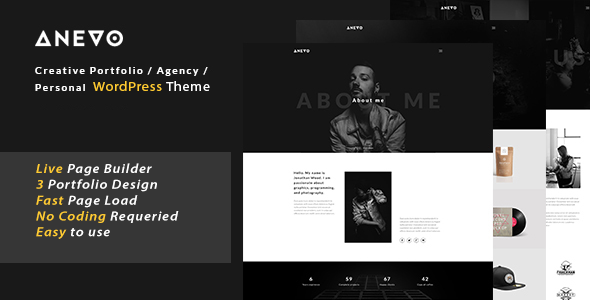 Anevo is a Creative Portfolio & Personal WordPress Theme for making your portfolio for personal or professional profile. It has the modern & clean design.This Wordpress theme comfortable to customize. It is easy to use, and it has perfect pixel design. We Used bootstrap framework, and you will get attractive 15+ pages layouts.